I was on Twitter this morning, reading about the latest inane developments in the lives of people I've never met before. And that's when I saw one of the saddest pictures I've ever seen: A ruined Lamborghini, possibly real, possibly a kit, hanging out in Brooklyn. @tokulski Just noticed door window glass is one piece when it should be split in two. 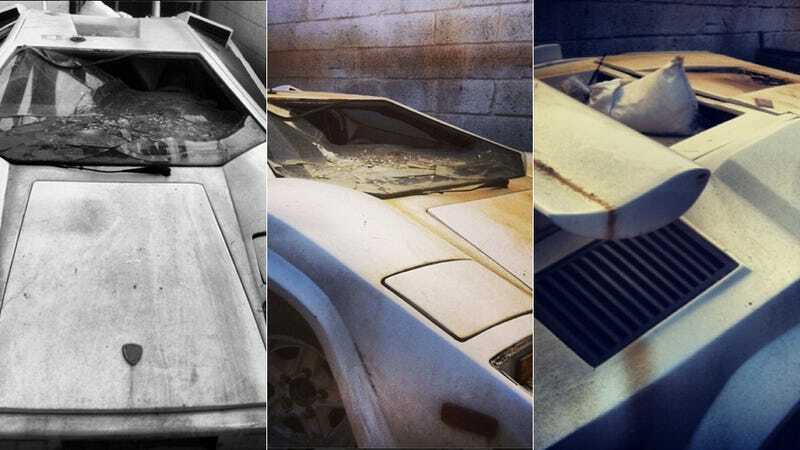 I'm off to Google Countach kits..